Duckworth also tends to raise eyebrows when she mentions she’s a marathoner. Make that a five-time marathoner, including a 3:40:55 finish this past April in Boston. 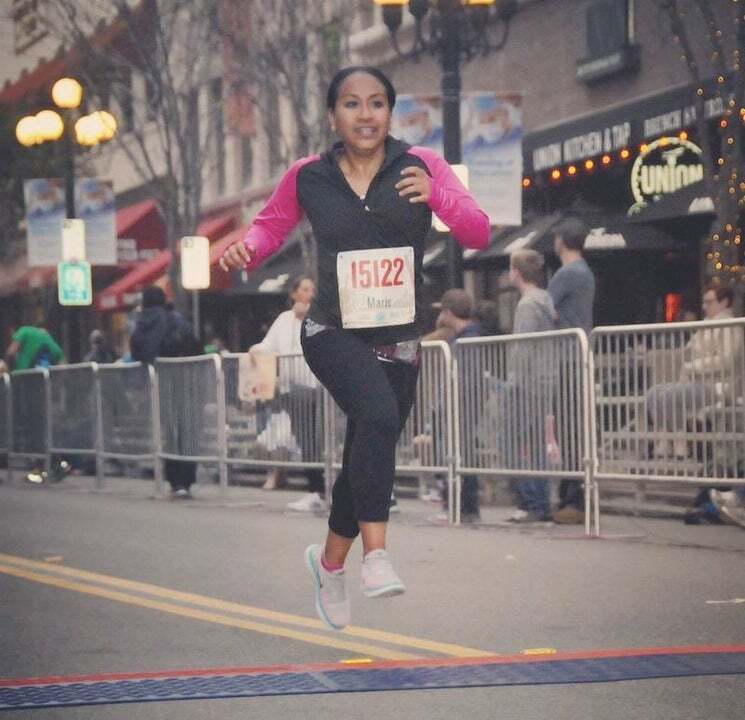 Diagnosed with diabetes at the age of 10, Duckworth, from Manassas, Va., uses running as an outlet for dealing with the stress of her disease, as well as a chance to just feel like a normal 20-something. “When I’m running, it’s not about diabetes,” she says. “It’s about freedom. It’s the place where I can just be with my thoughts. I’m a much better person, and I have more peace of mind because I’m able to run. Marie Brown was just 21 when she was deployed to Iraq with the army. While the tour passed without incident, what followed were years of harrowing medical issues. Brown, of San Diego, Calif., was later diagnosed with Meniere’s disease, which has caused her inner ear to deteriorate. This all came about, says Brown, because of her direct exposure to raw sewage, burning oil and other chemical toxins while in Iraq. Brown found herself so sick she could hardly get out of bed. She was medically discharged from the army in 2004 and spent the next several years in and out of hospitals and clinical trials to determine what was going on with her health. But even on her worst days, Brown had one constant in her life: running. Today, Brown has completed several races, including two half marathons this year. She still gets migraines and dizzy spells, but she’s managing with medicine—and a brighter outlook on life. The night her son tried to kill himself in 2015, Angela Williams found herself on her knees in her bedroom, sobbing. It was all just too much for the Chattanooga, Tenn., native to bear. First, a divorce. Then, she lost her job. Now, her son. All Williams could do was pray and hope for a sign. Then her phone rang. It was a friend, calling to ask if she was up for registering for an upcoming race. 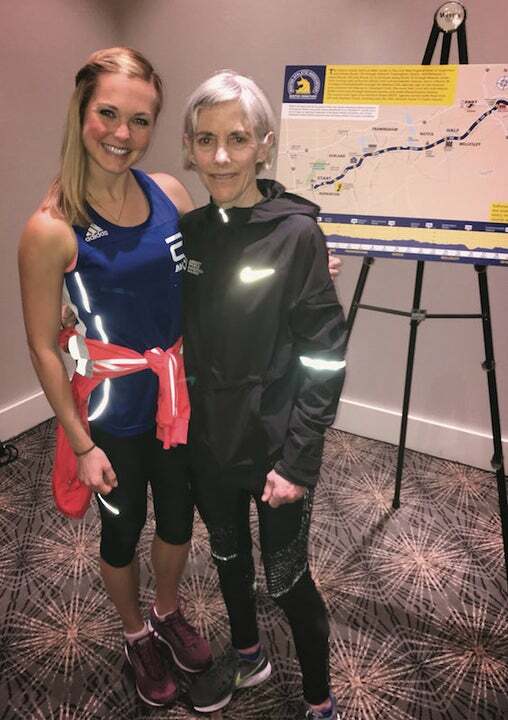 Despite the poor timing and all of the unknowns with her son, Williams took that invitation as the sign she prayed for—she was meant to run. 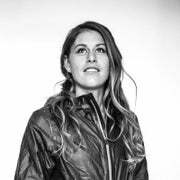 Williams, whose son, now 23, is stable, says that running keeps her afloat when everything else in life has tried to pull her down by the ankles. It’s relieved her depression and given her hope when she was at her lowest points. It has also provided her with some of her best moments. 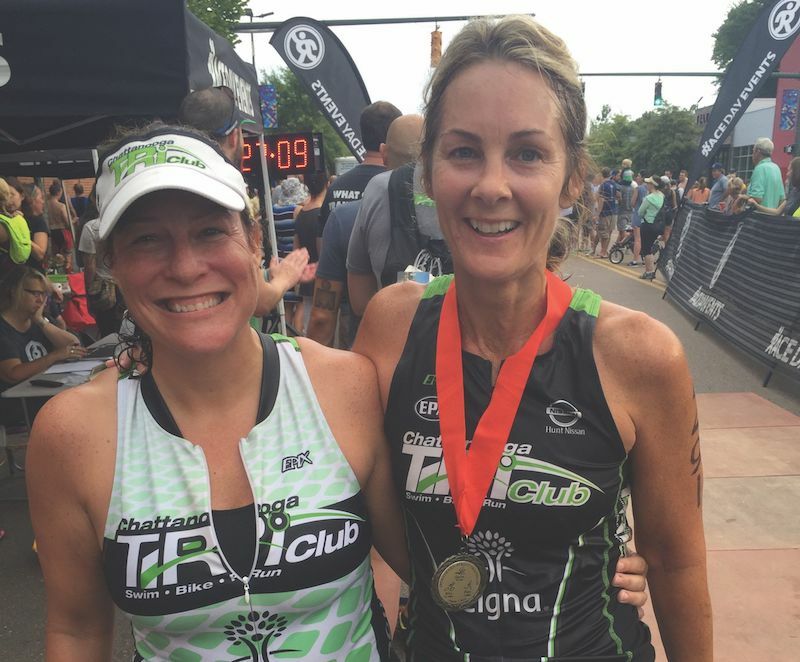 Fueled by the gratification of crossing the finish line, Williams went from running 5Ks to half marathons and has also completed a half-Ironman triathlon. These big challenges have forced her to face discomfort head-on, and she draws on her own life experiences to get her through it all.